Out of all the numerous split tests you conduct the primary goal that must always be at the top of your strategy is optimization. With that in mind implementing a structured testing process will be more focused. I have found that it is best to define an objective before you implement any website testing. In the online world, multivariate testing is a buzz word. It is a fairly simple experimental process to conduct yet it is easy to get complicated as you progress. You can test variations of page elements such as call to action, a form, images, headlines, and captions. Within each testing element you can have many test variants on a landing page. Some believe that if you are starting out, to go with A/B website testing. This is where you test the performance of more than one page with a similar traffic flow. Multivariate testing website experimentation is a subtle version of A/B testing. They are both extremely efficient, providing statistical validation to a predefined experiment is clearly made. If you get a lot of traffic and responses from advertising to your site then usability website testing becomes the means for most business owners to turn visitors to action quickly. If you sign up for AdWords you can run the tests using Website Optimizer for free. You can test the water then set your price point; collect data then enter your market with a bang. When you have a solid platform of measurement in place you can get the answers you need for increasing conversion rate. Your website testing and analysis process will result in the ability to formulate a strategy with high probability goal fulfillment. Remember that there are many components of a website that may be tested. I like to be focused on reports as triggers to take action that will matter to the bottom line. Without additional analysis, improving a campaign’s conversion rate is like throwing darts in the dark. To squeeze more out of each click through in search engine marketing it is a wise idea to look at the landing page visitors are landing on. Once we dial in getting a desired reaction from the visitor with high CTR (click through rate) on certain keywords we can expand on it. It is a favorite technique of mine to work on increasing CTR with with a great ad to a landing page testing place. 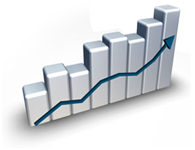 It will allow you to quickly put your internet marketing efforts into high gear. With the tweaking of a landing page you want to do it in manner that influences the primary objective and marketing goals. Use web analytics to check the varying successes with your email campaigns, text ads, confirmation email or triggered email. Which areas of your landing pages have the highest click density? 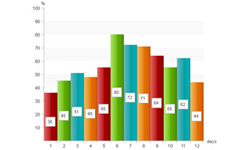 Take a look at the funnel report that you hopefully set up in Google Analytics. Optimization of your landing pages are a part of your entire online advertising campaign they must be massaged into your search marketing planning. 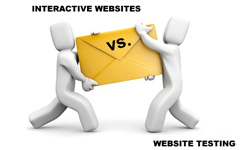 Interactive Websites…Are You Ready For This? I stumbled across a video recently that really got me thinking about website marketing. Watch this video and imagine doing all of the above on the fly. That’s right usability, measurement and testing all wrapped up in one. With this technique conversion increases 40%…WOW. Whether it’s a time or money investment website testing is critical to learning what you should do to please your visitors and feed your family. Test drive your marketing ideas before you enter a market in full stream. You will be the wiser one in your marketplace with more visitor intelligence gathering on your website. Marketing research gives us better insight about users and that means more effective ads, which leads to more conversions and success for our business. Testing will take us to the right track. Your testing suggestions are thinkable and highly applicable! Thanks for the post. Ya, everyone gets their marketing pie from thorough market search. Google adwords funnel options let us know about stronger areas of click density as well as weaker areas. The most important attribute of the Internet is it not only paves a high end marketing channel but provides ample tools to guage and test every marketing strategy. Testing is a good suggested strategy for every online ad campaign. Landing page click density is also some wise advice Robert!! Good write-up!! Loved this article. Great one for those who understand Analytics and a about landing pages. I also loved the video, great ‘intelligent’ way of making use of the landing page for your adverts. yes , i support multivariate testing, it allows us to guage the various utilities with our landing page. Sample testing tracks back to the history of marketing in measuring marketing strategies.